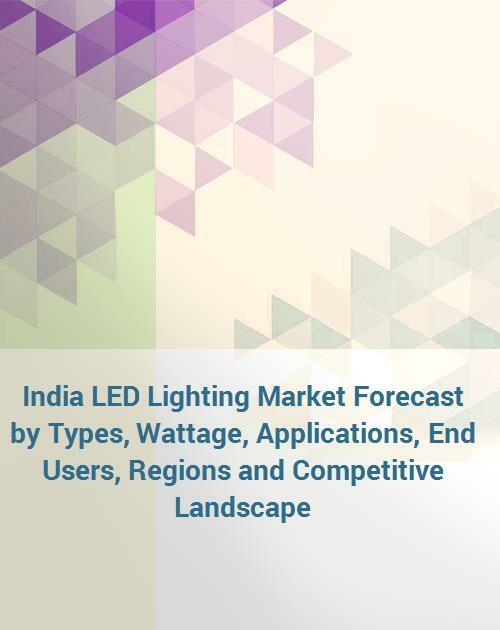 According to research, India LED Lighting market is projected to grow at a CAGR of 26.6% during 2017-2023. The Government of India launched an initiative in 2016 to replace conventional lights by LED lights by deploying 770 million bulbs and 35 million street lights by 2019. Further, under DeenDayal Upadhyaya Gram Jyoti Yojana (DDUGJY), 273 lakhs LED bulbs have to be distributed to BPL households. Additionally, prices of LED lights are also expected to decline in the coming years, which would drive the growth of the market over the next six years. 16.1. Ajanta Manufacturing Private Ltd.
16.3. Crompton Greaves Consumer Electricals Ltd.
16.4. Eveready Industries India Ltd.
16.6. Moser Baer India Ltd.
16.8. Osram Lighting India Pvt Ltd.
16.9. Phillips Lighting India Ltd.
16.12. Wipro Enterprises Private Ltd.